Learning focuses on designing learning environments that draw on research on how people learn and ways designers can capitalize on diversity to enhance learning. Diversity builds knowledge about the nature and definition of diversity and how it affects groups, systems, and scholarly inquiry. Urban Studies explores the complex interactions among individuals, groups, and the various systems that make up the contexts of inner-city schools, metropolitan regions, and neighborhoods. You can expect to understand educational practice in urban settings more richly and more responsibly through this program. You’ll be prepared to practice this renewed understanding in settings such as social service agencies, media organizations, or public schools—or in academic and policy settings by pursuing research. Socially just educators embrace student diversity, create inclusive educational opportunities, and continually strive to achieve equity and social justice in their educational settings and communities. You'll learn to understand continuously evolving communities that have distinctive histories, cultures, discourses, language practices, and funds of knowledge as strengths. Socially just educators learn to engage with families and other community members through positive, informative, and supportive practices. These interactions enable educators to learn from and engage with communities to address the continuing challenges of social justice, equity, and environmental sustainability. Promote critical consciousness of complex sociopolitical contexts, institutional and structural inequities in schools and communities and of how our cultural backgrounds and identities affect our engagement in justice and equity work. Recognize that students’ ideas develop out of the context of their physical, social, and cultural experiences in the world. These ideas are the foundation on which learning happens and are resources for future learning. Understand that theory, research, and practice inform one another. Thoughtful use of relevant theory and research should inform practice, and participation in research should be viewed as a productive activity that facilitates their learning and advances the profession. While in the program, you will also have many opportunities take part in community events and engage with influencers and leading experts in diversity and urban studies issues. 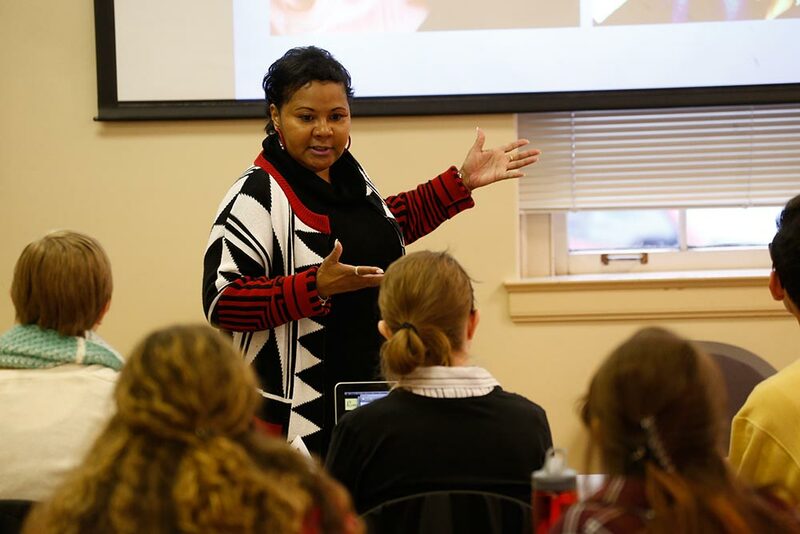 Some examples of past engagement include participating in TEDx Vanderbilt, presenting at the Critical Race Studies in Education National Conference, and collaborating with high-profile speakers through the Peabody College Dean’s Diversity Lecture Series. Program Director: Chris da Silva, Ph.D.
Learning, Diversity, and Urban Studies alumni typically work in traditional and charter schools around the country, policy research think tanks, and community centers and nonprofit organizations. My studies and experiences at Vanderbilt Peabody College prepared me for my role at the intersection of learning and diversity. 100% of Learning, Diversity, and Urban Studies graduates were employed or attending graduate school within four months of graduation. Assistant Principal, Nashville Prep, Nashville, Tenn.
Consultant-Research Associate, Equal Measure, Philadelphia, Pa.
English Learners Curriculum Consultant, Tennessee Department of Education, Nashville, Tenn. Language Arts Instructor, Academy of Hope, Washington, D.C. Program Specialist, Oasis Center, Nashville, Tenn.
Restorative Justice Practices Facilitator, Metropolitan Nashville Public Schools, Nashville, Tenn.
Student Support Specialist, Belmont University, Nashville, Tenn.
Restorative Justice Practices Facilitator for Metro Schools, Nashville, Tenn.
Tennessee Department of Education English Learners Curriculum Consultant, Nashville, Tenn.
Educational Development Coach for the Commodores, Vanderbilt University, Nashville, Tenn. Boys and Girls Club - Athletic development, Nashville, Tenn. Alumni also have continued their education through Ph.D. programs at Purdue University, University of Washington, and Vanderbilt University. Accessing Vanderbilt’s Resources: Black Cultural Center, K.C. Potter Center for LGBTQI Youth, The Women’s Center, The Office for Active Citizenship and Service, and Center for Latin American Studies. Working with Local Community Organizations: Nashville Public Library—Story Corps, Civil Rights Room, Conexion Americas, Casa Azafran, Oasis Center, Dismas House, Nashville Hope Exchange, Nashville Rescue Mission. The year-long graduate program begins with readings and discussion on critical urban geography and the particular issues associated with living in urban areas: population density, employment and unemployment, transportation, and diversities of various kinds. The topics segue to diversities, considering race, class, gender, linguistic culture, religion, gender and sexual orientation, and the intersection that clarifies and confounds the difference diversity makes. A total of 15 hours of electives are required for the Learning, Diversity, and Urban Studies graduate program and at least nine hours should be related to a theme you choose. Department faculty come to Peabody College with years of experience in the classroom and a commitment to research that supports student learning. Current faculty focus on issues of social justice and promoting equitable education for all learners, among other topics.